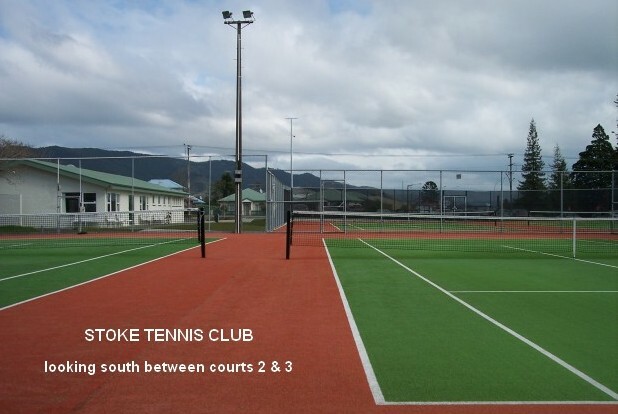 Astro-turf has been laid on the two public courts and access relocated while construction is in progress. Members swipecards operate as per usual at the entrance gate by the nor'west corner on Main Road Stoke. Courts 4 & 5 have been removed and the clubhouse demolished. All 5 courts now have lights. Considerable progress has been made on the new complex but it may not be completed until late in the year. Club membership as at August, 2017 is 199.